A Year of Being Here: Rebecca Baggett: "Testimony"
"a great and common tenderness,"
"Testimony" by Rebecca Baggett, from Rebecca Baggett: Greatest Hits: 1981-2000. © Pudding House Publications, 2001. 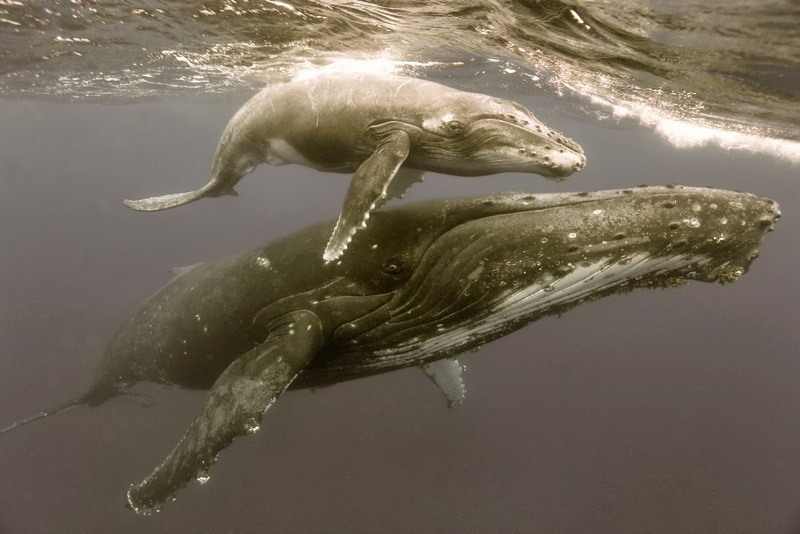 Photography credit: "Mother and Calf 2" (humpback whales), by Vanessa Mignon, taken Sept. 6, 2013 (originally color). this poem captures the hope of my heart, thank you! Brings me to tears, thank you. On behalf of the poet, you're welcome. I reread this poem today. Thank you. It lifts one out of despair. Yes. The world is still beautiful. Reread and reread. Be well. Love the three-piece suite of stanzas.